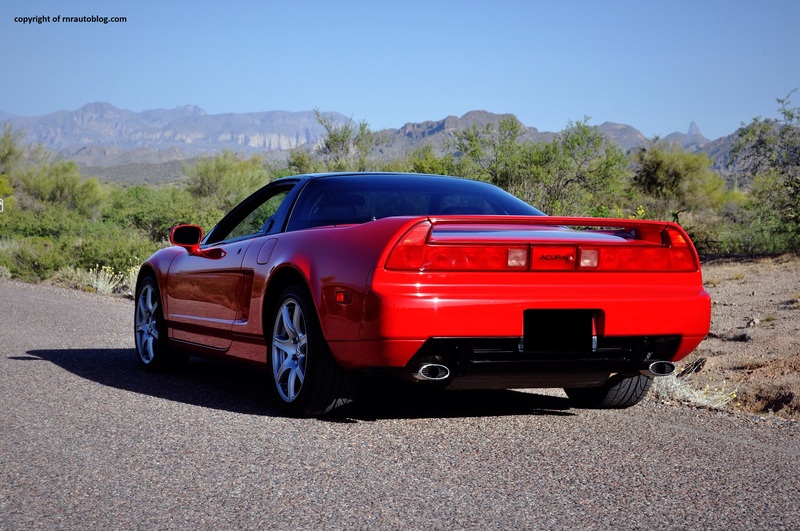 Even though the Honda NSX (Acura is Honda’s luxury division, and the NSX was sold as an Acura in North America) debuted in 1990, Honda actually started development in 1984, and the NSX was codenamed the HP-X (Honda Pininfarina Xperimental). Honda gave its engineers a task: create a mid-engined supercar that rivals Ferraris and Lamborghinis while providing the comfort and refinement expected of a Honda. Pininfarina, a famous automotive design firm recognized for the design of many Ferraris and Lamborghinis, was tasked to come up with the design for the HP-X. The name changed from HP-X to NSX (New Sportscar eXperimental). Throughout development, Honda enlisted legendary Formula One driver Ayrton Sienna as the test driver for the NSX. Sienna drove the NSX on Honda’s Suzuka Circuit in Japan, and relayed feedback to Honda’s engineers regarding the handling. 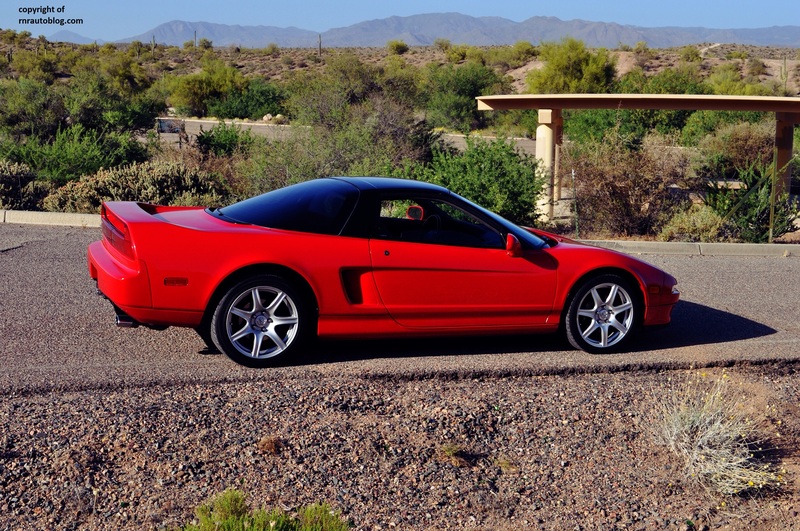 The NSX was also the first production car to feature an all aluminum body which aided acceleration and handling. 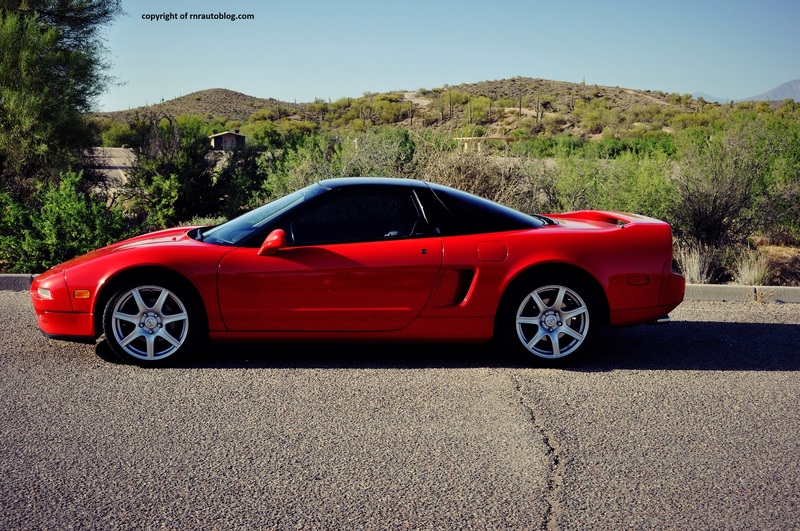 Sadly, the NSX ceased production in 2005, but it is regarded as one of the most famous supercars of all time. 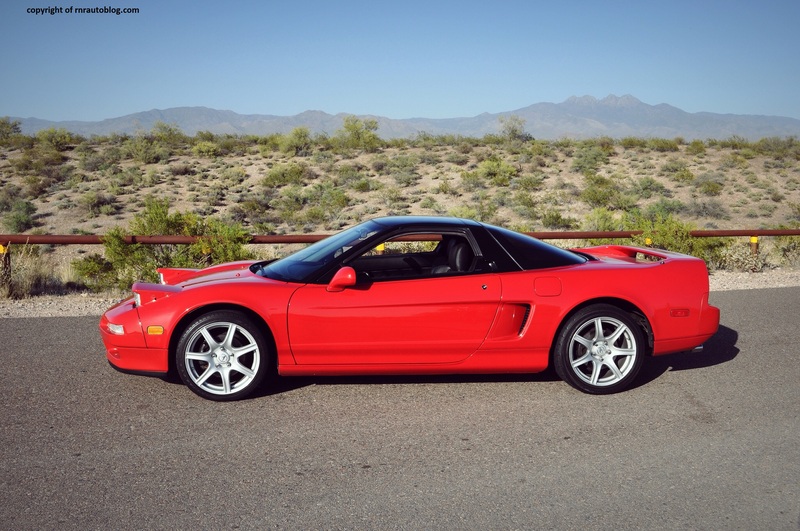 As for the design of the NSX, Honda prioritized simplicity but sleekness. The simplistic front features flaring wheel arches that creates a unique hood design. 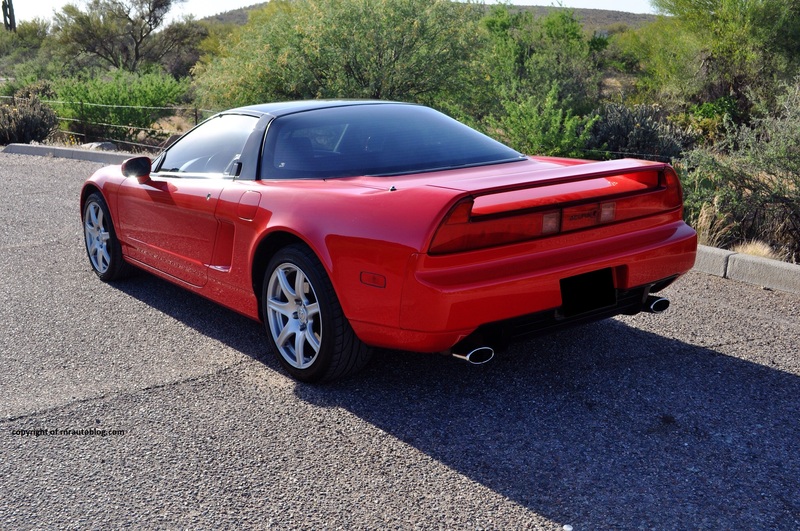 This NSX features two styling features that I love: pop up headlights, and pillarless doors. The pillarless doors and the side strakes help accentuate the athletic side profile. The bubble roof “wraps” around the car, giving it a sleek look. The roof also helps with speed and fuel economy as it is very aerodynamic. I love how the side profile rises slightly towards the rear, molding into the rear spoiler. The distinctive taillights and dual exhausts complete the sporty exterior. The stark interior is more functional than form. The sloping layout of the controls and the circular windshield give off an airplane style cockpit feel to the interior. 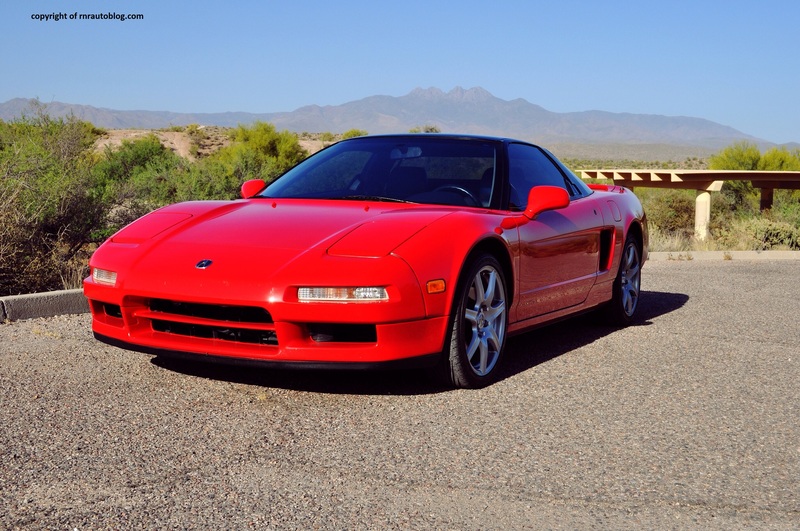 When you start up the NSX, the first thing you will notice is that it has no power steering. There may be no engine in the front, which eases the weight on the front wheels, but it is still heavy to turn at a standstill. You get used to it though. As speeds increase, the steering becomes more fluid. The aluminum body really pays dividends to the handling. This is much bigger than a Honda Civic, but it corners more like a Honda Fit (a subcompact). This car really feels like an extension of your body as it responds telepathically to your inputs. On a twisty road, the NSX took me by surprise with its willing behavior as it displays incredible poise in hasty driving. The mid-engine layout gives the NSX unparallelled balance as I was unable to detect any understeer whatsoever. The steering has laser like accuracy yet it is not twitchy on the highway. The benefit of having no power steering is that the steering feel is not dulled by a power steering system. The steering feels alive with excellent feedback. Given the NSX’s focus on driving dynamics, you would think its ride quality takes a hit but the NSX surprises again with its decent ride quality. The overall impression of the ride is that it is firm, but it is not uncomfortable at all. On poor roads, the suspension clunks slightly, but it is still comfortable. 270 horsepower may not seem like a lot nowadays, especially when you consider family sedans such as the Honda Accord and Toyota Camry match that horsepower with their V6s. But when you consider that the weight is around only 3,000 pounds, you’re never left wanting more power. It actually feels like a lazy V8 especially at low revs. Flexibility is impressive as it is torquey at all revs. You never really feel the need to downshift for more pickup power. The 3.0 liter V6 never feels strained, even when pushed all the way to its 8,000 redline. 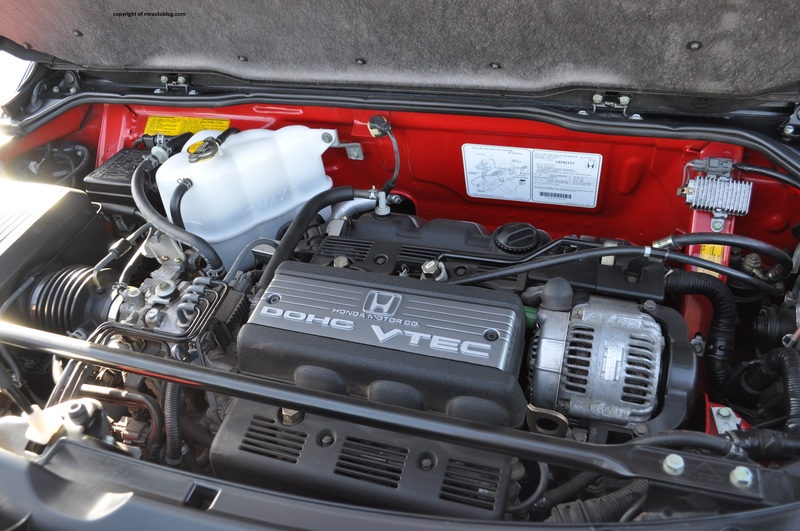 This V6 features VTEC technology (Variable Timing and Lift Electronic Control System). By varying valve lift and timing, it can give a boost at high revs without the usual drawbacks of a turbocharger. This feature works wonders. I’m not sure about when the boost occurs, but it is easily felt as I go past 5,000 rpm. It is strong at any revs, but it really comes alive after 5,000 rpm. 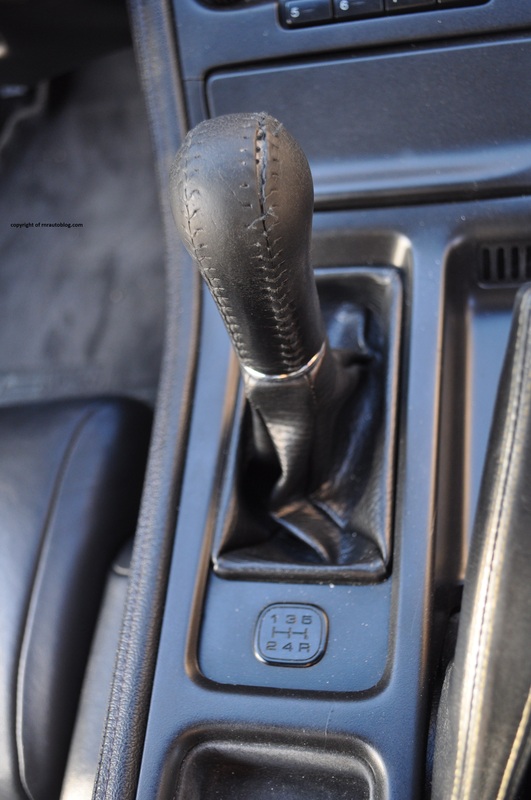 There are two transmissions available: a five speed manual transmission, and a four speed automatic. I prefer the former as the manual has well spaced gear ratios and slick throws. With this car, you actually have to let the clutch out completely before depressing the gas pedal which is unusual for some. But it becomes easy to master. Considering that Ferraris and Lamborginis at this time barely managed to get better than 12 mpg overall, the NSX’s fuel economy at 17 city/19 combined/22 highway is excellent for its class. As with all Hondas and Acuras, road noise is an issue. You can hear the tires slapping the pavement, especially on poor or coarse roads. But when you consider the engine noise, this flaw becomes minor. I have thought about it, and this V6 is probably the best sounding V6 ever. I wish there was a more professional way to say this but the engine note is just pure heaven. I actually just let the revs build up slowly so I could enjoy the engine noise longer. Its harmonic tune makes me wonder why automakers don’t strive to make their engines sound as good as this. True to Honda fashion, fit and finish is flawless even for a car that is more than 20 years old. Typical Honda ergonomics is abound in the cabin. The controls might be a reach for some people, but there is no denying that they are logically laid out. However, in direct sunlight, the displays wash out somewhat. 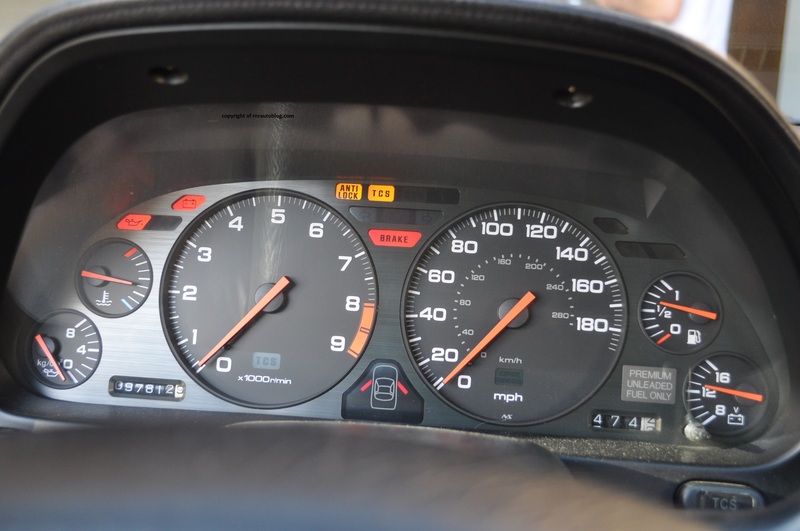 The gauges are a paragon of simplicity and organization. The firm seats give excellent bolstering as they grip you well during cornering. As for the driving position, limited seat settings impede your ability to get comfortable. But I had no problem getting comfortable, and I liked how low to the road the NSX was. The cabin feels airy, thanks to the bubble roofline and decent headroom and legroom. 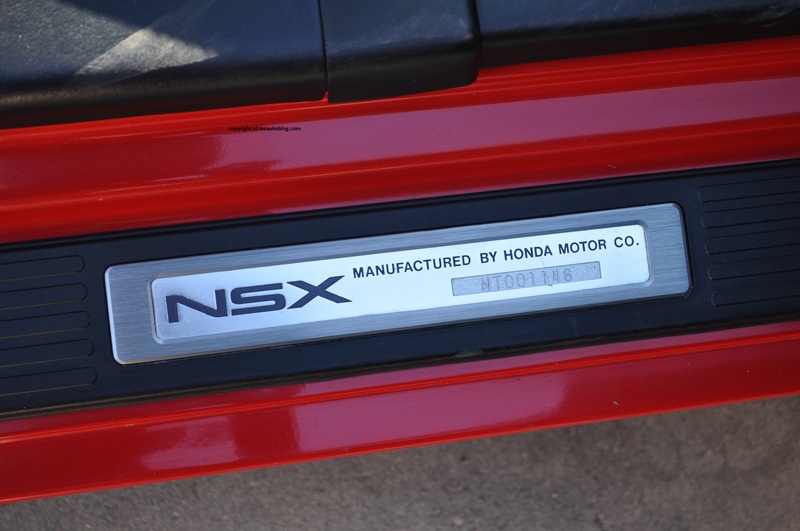 Access is not one of the NSX’s strengths. Every time I exit the car, I always somehow do it in a clumsy manner. There is no graceful way to get out of the car. The trunk space is middling, but far better than its rivals. 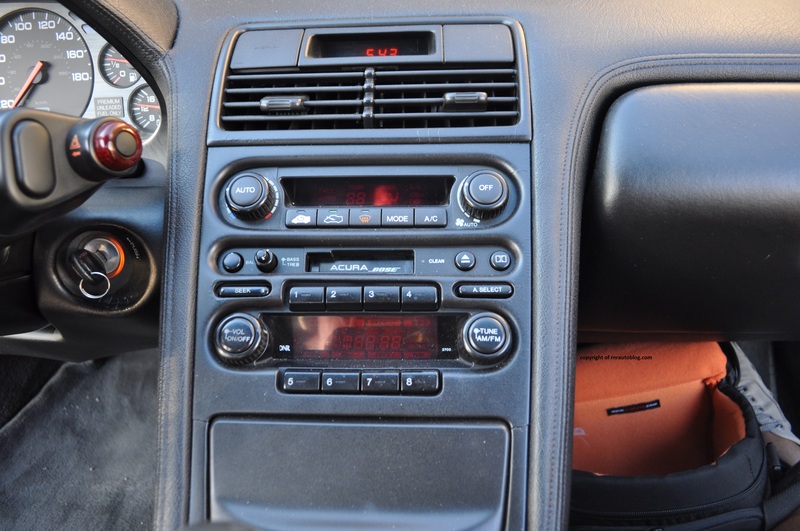 Unusual for a Honda, cabin storage is nonexistent except for a small cubby beneath the controls. If it sounds like I really cannot point out any serious flaws with this car, you might be right. I really cannot find anything wrong with this car. I tried my hardest to shed any bias I have with Honda/Acura during the review of the NSX, and I still came back stunned. 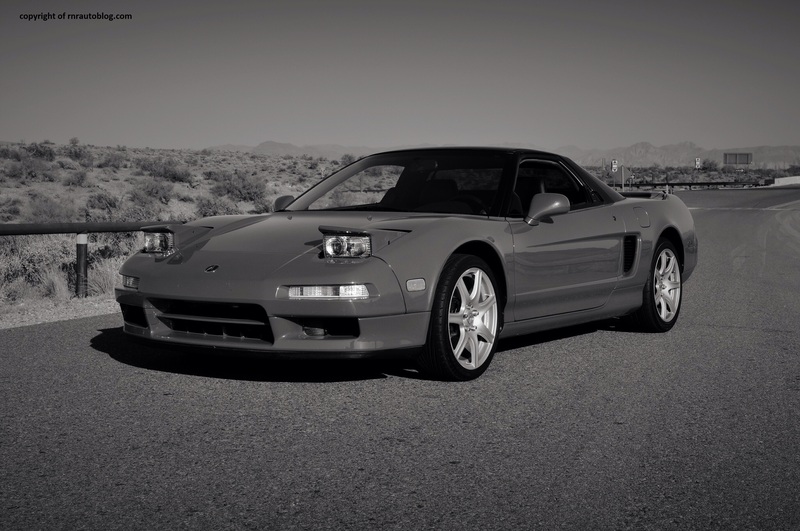 The NSX embodies all the virtues that I love about Hondas and Acuras. As a car guy, I value simplicity and the connection between the driver and the car. I am the kind of person who would rather drive a 1990 Mazda Miata than a brand new BMW M5 just because the Mazda feels more like a car and not like a robot. Don’t get me wrong, I love how the automotive industry has progressed in terms of technological innovations, but there are many times when the technology overpowers the car itself. That is why I love how simple the NSX is, and the fact that it just works, whether it is in the way it drives, or its styling, or its powertrain. 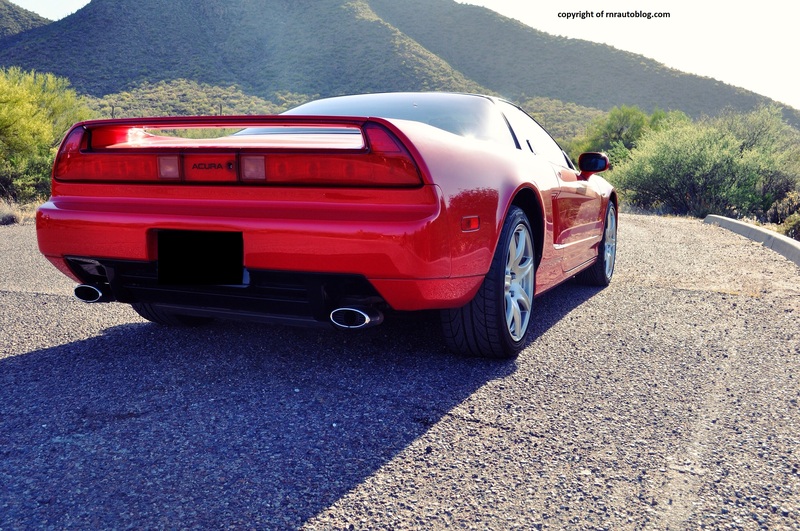 It is just purely all about the you as the driver, and the NSX as the car. No fancy technology needed. Before this car, I would have trouble knowing the answer when I was asked, “What was the best car you have reviewed?”. The NSX is the best car I have reviewed. Even though Honda still makes respectable cars, there is no doubt that it has strayed from its reputation of engineering brilliance that they were known for in the 1990s. 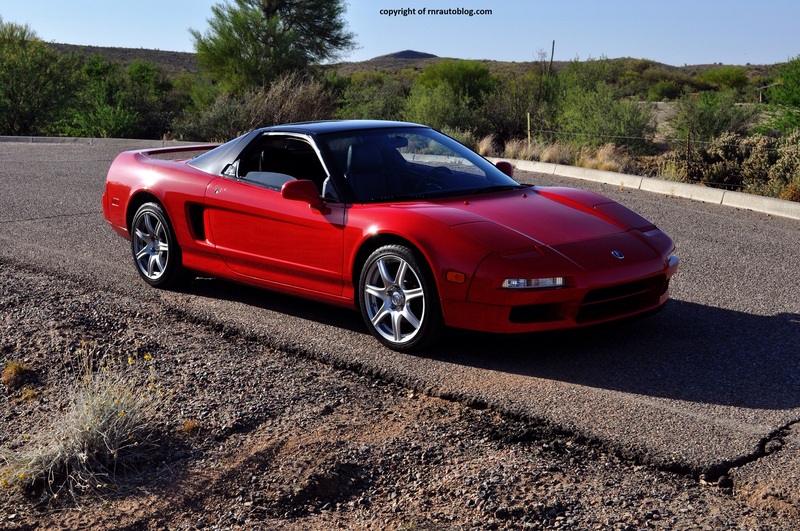 But the NSX gives me faith that Honda will go back to being the Honda that we love. Great write-up and I love how the pictures turned out! Thanks for the feature! No problem. Thanks for letting me review the NSX!